If you’re looking for some guitar pyrotechnics, then you’re in the wrong place. But if you’re in the market for a slice of blues and soul, freshly cooked with classic ingredients, then look no further. If Prince were to wake up after a night dreaming of work songs, and head straight for the studio, the results might sounds something like this. Maybe. The opening songs of this seven track EP reflect that template. ‘Lost In A Crowd’ and ‘She Don’t Cry No More’ both open with haunting field hollers. The former adds a slow, stomping bass drum heralding the arrival of Negrito’s urgent, rasping vocal, over spare instrumentation interspersed with flourishes of organ and piano. The latter is underpinned by subtle guitar, introducing an old-fashioned blues gospel singing, built around nagging refrains of ‘The rain falls down on me’ and the title line. 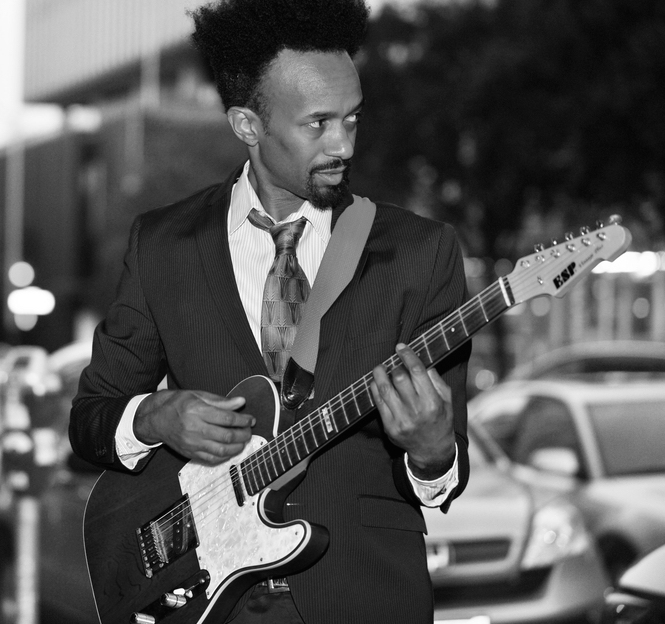 The melody of ‘An Honest Man’ evokes the White Stripes’ ‘Seven Nation Army’, but sung over understated piano and guitar, with bursts of vocal passion interjected by Negrito. That stomping bass drum returns on ‘Night Has Turned To Day’, accompanied by sparse, modern beats and a gospel-like chorus. The whole thing shifts to a different level over the repeated line ‘I ain’t back to the work’, accompanied by handclaps and bursts of slide guitar. ‘The Time Has Come’ offers something different, a slow, Sixties style soul-pop ballad with Negrito in Marvin Gaye mode, and a chord sequence that occasionally hints at sliding into Aretha’s ‘Do Right Woman, Do Right Man’. A relaxed piece of soul follows on ‘A Long Long Road’, founded on piano and swirls of organ over minimalist percussion, and featuring interchanges of falsetto and straight up vocals. The closing ‘A New Beginning’ is funkier, with modern beats and more flashes of guitar, and coloured by female backing vocals. The overall effect is redolent of the Black Keys, in the restrained vein of, say, ‘Psychotic Girl’ or ‘Everlasting Light’, but stripped down even further and at the same time more – well, black. It all amounts to a promising start for the Fantastic Negrito imprint. Can he evolve in the way the Black Keys did from their simple origins?